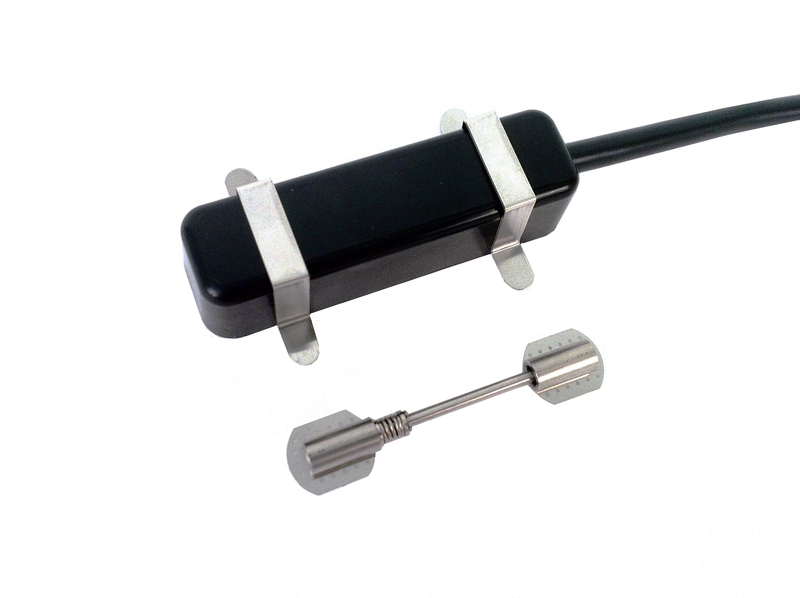 The SM-2 series of miniature vibrating wire strain gauges is used to measure variations in strain, which allows stress evaluation when the material’s modulus of elasticity is known. The SM-2 consists of a length of steel wire tensioned between two end blocks and protected by a connecting tube. The exterior forces applied on the end blocks modify the tension in the wire, hence its resonant frequency, which is read by a built-in electromagnet. The SM-2 is offered in two models, SM-2W and SM-2A, that differ in their installation. The SM-2W is designed to be spot-welded on a surface and then covered by a protective housing which contains the electromagnet. The SM-2A can be installed in small confined spaces. Its electromagnet surrounds the connecting tube. Unless otherwise specified, the gauge tension is factory-adjusted at mid-range. According to the anticipated strain direction, the tension can later be easily modified using the spring fitting on the gauge. 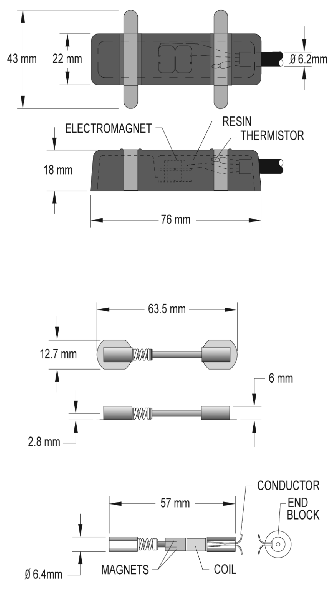 This compressed spring compensates for the wire tension and contributes in making the SM-2 a very compliant gauge. A thermistor incorporated into the gauge supplies information on the effects of temperature on the materials. The SM-2W gauge is designed to be spot-welded on flat or curved surfaces (the circular plane has to be perpendicular to the gauge axis). The electromagnet housing is separate from the gauge. It can be permanently spot-welded in place over the gauge, or carried around with a reading unit. The SM-2A normally is kept tight inside a small diameter bore with a setscrew. SM-2 Series Mini. VW Strain G.